Many of the homeowners we work with want to make their homes feel larger and more open. Sometimes that means making two rooms into one. 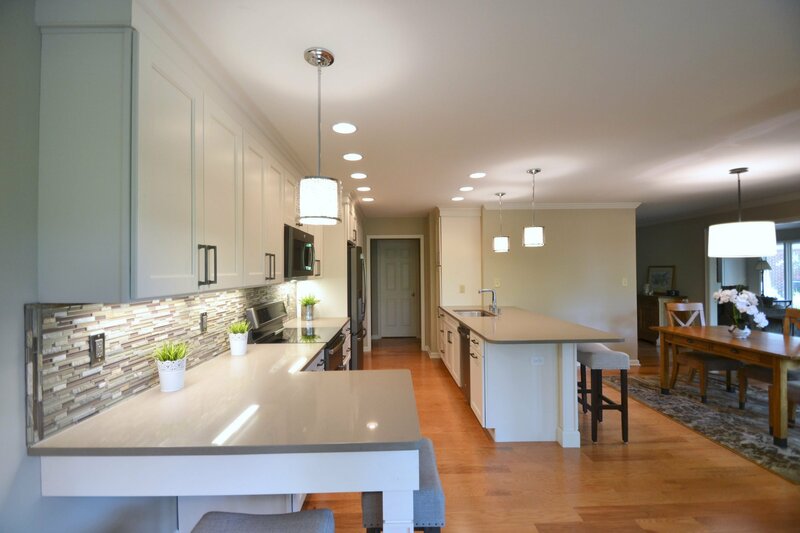 In a recent remodel, we tore down walls to create a beautiful and spacious kitchen for our client. 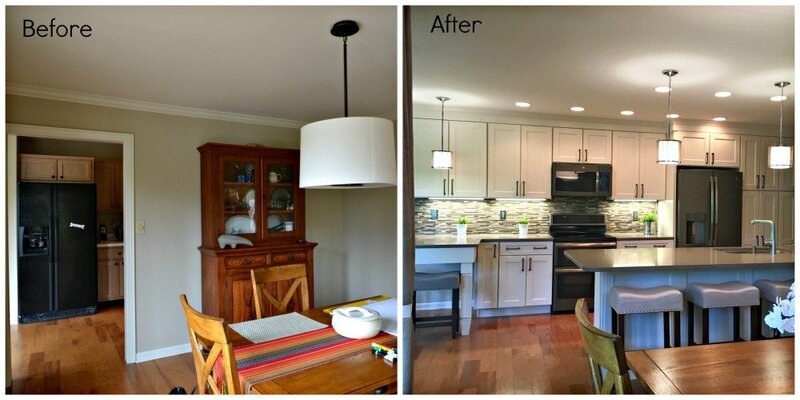 As you can see, the kitchen and dining area in this home were separated by a wall. This made each space feel cramped and closed off. 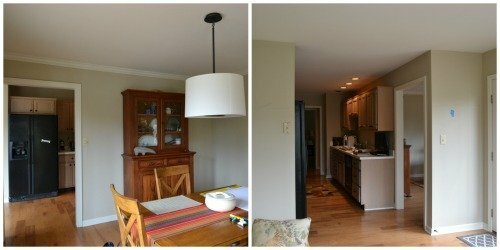 We decided to open up the space by removing the wall between the dining room and the kitchen to create one larger area. Tearing down the wall was the biggest change we made, but it wasn’t the only one. We also removed the existing drywall pantry to allow space for full height pantry cabinets with roll out storage. We also made several aesthetic changes to enhance the style of the room. One of the most noticeable updates was the Legacy cabinets in Bisque. The Tuscany style doors and antique nickel pulls create a nice clean look. The new countertop is a ginger-colored Caesar stone. Another gorgeous update is the backsplash. 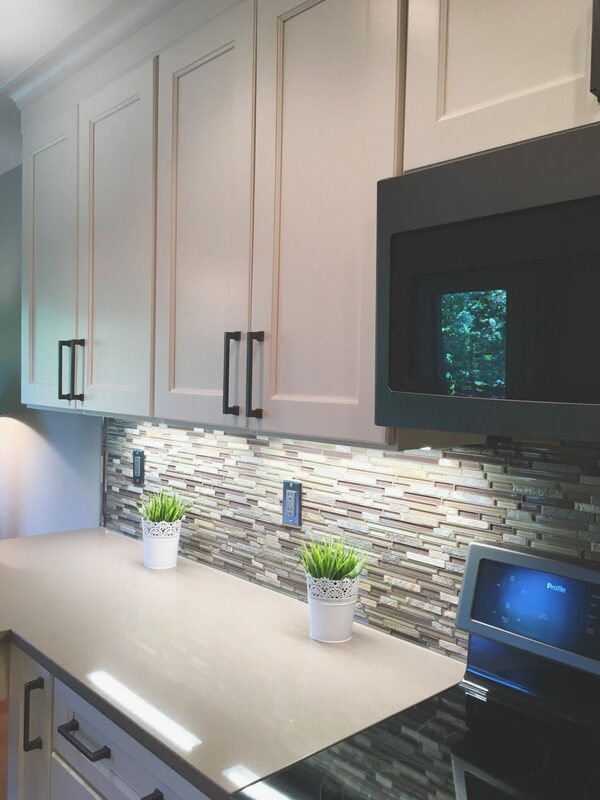 We went with a lovely glass and quartz blend linear mosaic pattern, and installed under-cabinet lighting to show it off. Other finishing touches include gorgeous lighting, a stainless faucet from Kohler, and new appliances from GE in Slate. When you put the the before and after next to each other, the change is dramatic. 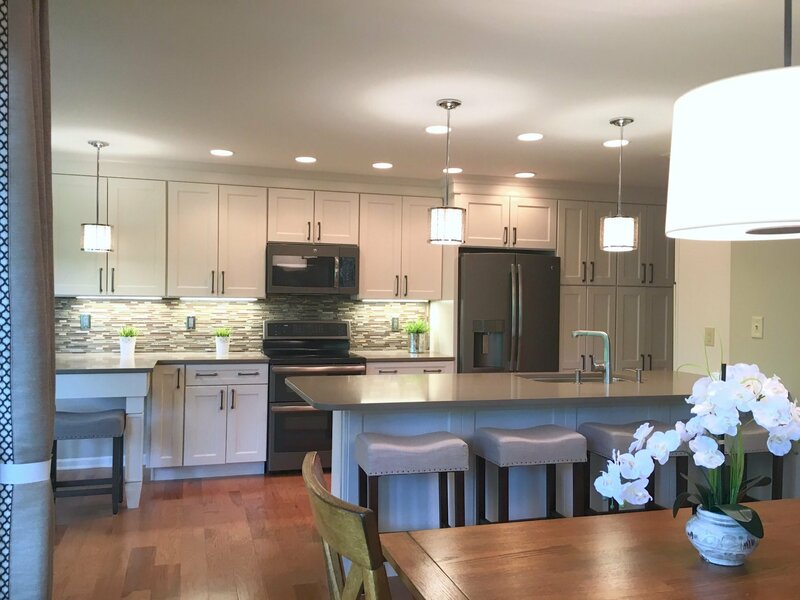 The updated kitchen is fresh, spacious, and modern. Is there a space in your home that you’d like to open up and transform? Contact us today. 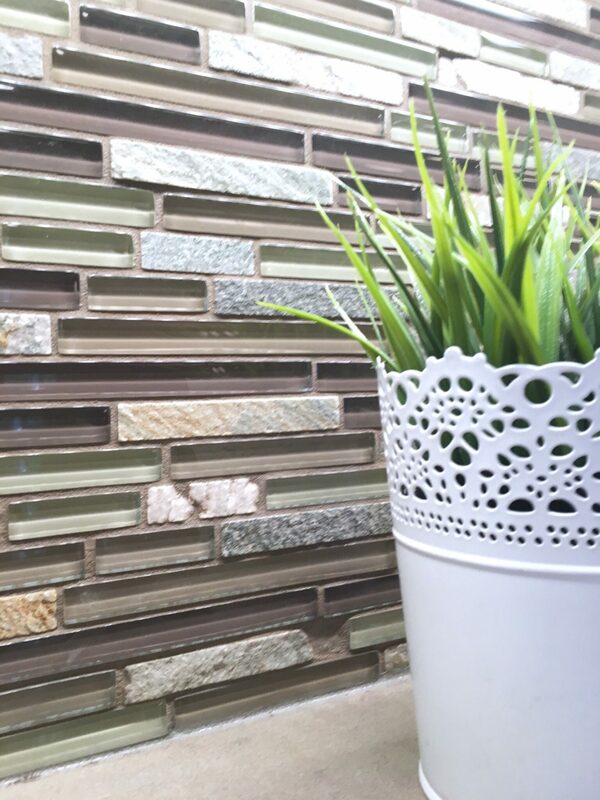 We’d love to help you plan your project, and show you how we can create more space and elevate the style of your home. To see more of what we do, follow us on Facebook or Instagram, and check out our Project Gallery to see our past work.